Looking for last minute Christmas gift? Need a stocking-stuffer for a little girl? Why not knit up a simple headband with a flower. The color combinations are endless. I began with some purple sparkle yarn left in my stash from a blanket I knitted long ago. The headband is a simple beginners project. Using lightweight yarn, cast on 7. Knit each row until desired length. Cast off and sew ends together. This part was not rocket science. Then, I knitted the flower. I found a free pattern on L J Lowe’s Blog. This is a simple flower where each petal is made separately and then joined. With four basic stitches – knit, purl, slip one knit wise, and slip one purl wise – you too can complete this flower. 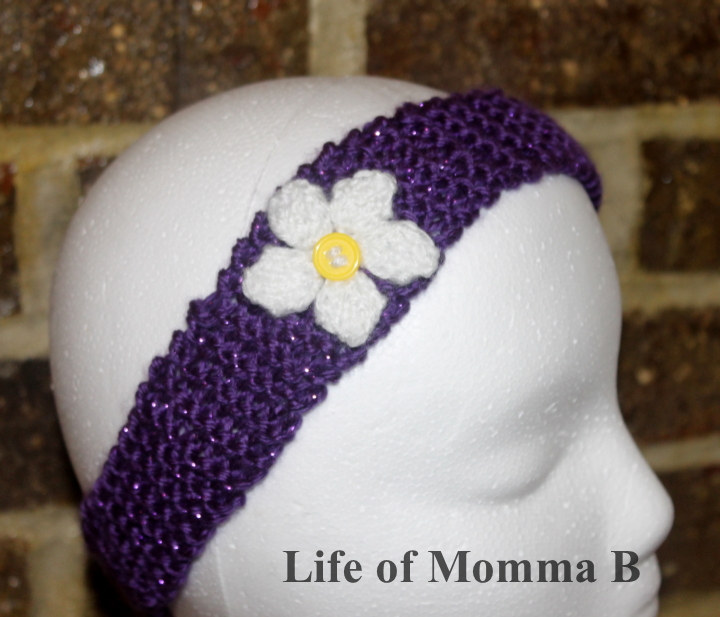 This entry was posted in Knitting and tagged flower, free pattern, head band, purple, stash buster, white, yellow. Bookmark the permalink.